Paranormal Addicts: We Reached 2500 FB Fans Giveaway!! As promised here is my "We Reached 2500 Facebook Fans" Giveaway!! The winner will get both of these two great titles! Take a moment and check out the rest of the great books in these two series!! Kresley Cole is the #1 New York Times bestselling author of the electrifying Immortals After Dark paranormal series, as well as five award-winning historical romances. Before becoming a writer, Cole was a world-ranked athlete, coach, and graduate student. She has traveled over much of the world and draws from those experiences to create her memorable characters and settings. Two of her favorite places to visit include the rain forests of Central America and the Far North Queensland area of Australia (where, by the way, she would not recommend swimming outside of the stinger nets--at night). Cole’s trademark action, sensuality, and humor are best exemplified in herImmortals After Dark Series, which revolves around the Lore, a secret stratum of hundreds of immortal creatures--ranging from Vampires to Lykae, Furies to Shifters, and Fey to Valkyrie--that each have their strengths, weaknesses, and age old prejudices against the others. Though they secretly live among humans, they constantly war among themselves, which gives her a lot of material. Her IAD books have been translated into seventeen foreign languages, garnered two RITA awards, and consistently appear on the bestseller lists, in the U.S. and abroad. Cole lives in Florida with her family and “far too many animals.” She spends any free time traveling and enjoys all things related to boats and water. While the Highlander and Fever series are two separate series, they take place in the same universe and PNA is highly recommending that you read them in the order shown. Karen's voice in each series is unique and together they enhance each other. Karen Marie Moning (rhymes with 'awning') is the # 1 New York Times bestselling author of 12 novels, including the Rita-award winning Highlander novels and the internationally bestselling urban fantasy Fever series. Her books have been published in 21 languages, and her events draw fans from all over the world. Moning is currently completing a graphic novel for Del Rey, featuring an original story about MacKayla Lane and Jericho Barrons, and has contracted with Random House Publishing Group for three more books set in the Fever universe. She divides her time between the mountains of Georgia and the beaches of Florida. MANDATORY: Since this is a Facebook thank you giveaway, you must be a fan of Paranormal Addicts Facebook Page. And yes we can double check our facebook fans as admins of the page so if you aren't on there we will pick a new winner. I have read both Kresley Cole and Karen Marie Moning. Love them both!!! I haven't read anything by these two authors yet, but I've wanted to for a while now. I've heard great things! Right now I'm really into..well, obsessed with J.R. Ward and the BDB series. Thanks for this awesome giveaway and congrats! Lisa, J.R. Ward is amazing too.. one of my favorite writers! awesome contest. I havn't read either of these authors. but have heard of them. love the tigers curse series by colleen houck. Kira Saito, becca fitzpatrick suzanne collins. Awesome authors. I have read some of Ms Moning and Cole. Would love to read more. I haven't had the chance to read Kresley Cole but would love too!! I love Moning!!! I also love Richelle Meads Vamp books!! Love KMM!! Just finished her Highlander Series! I began w/ the Fever Series. May have to re-read the Fever Series! Congratulations on the # of fans!!!! I have not read these authors yet, but I have some of Cole's books in my TBR pile. I love Larissa Ione's stories and am really getting into Lara Adrain these days. I've read both KC and KMM, and I LOVE the covers of both books. Lothaire is HOT! Thanks for sponsoring this giveaway! I haven't read any of their books. My favorites are Laurell K Hamilton, Cynthia Eden and Richelle Mead. Thank you for a AWESOME giveaway!!!!!! What a great giveaway!!! Yes I have readed both and there both great reads!I love Kresley Cole, she is just amazing!! Congrats on having over 2500 fans on facebook Paranormal addicits!! I've Read the Fever series but not the Highlander series and i really want to!! I need both of these desperately!!!!! Thanks for this amazing giveaway. Congrats on the all the fans, you guys are awesome and so is the giveway! I have started IAD series and KMM series have been on my TBR list for too long. I'm a huge fan of JR Ward, Sherrilyn Kenyon, Jeanienne Frost, I could go on and on! Hi Chelsea, I really like IAD and I have started Kate Daniels and Demonica, like as well! I have not started Yasmine but she is on my TBR list as well, I need more hours in a day to read!! I've read Kresley Cole but not Karen Marie Moning yet. This is an awesome giveaway. Thanks so much for the chance to win the books. I adore KMM's Fever series! Awesome giveaway... These are two of my all time favorite authors...Please enter me in the giveaway. Cindy, these are two of my all time fav authors as well! Just make sure you filled out the rafflecopter hon and you'll be entered! I have read KMM but not Kresley Cole. I'm looking forward to discovering her work. I have not read either. Thanks for introducing me to these new authors to follow. I so love a series. I am reading Rebecca York's Moon series right now. On book 7. You're welcome! These are super awesome authors.. I adore a series myself! Love books that go at least 5 and up to 25 :D they make me happy :) I've never heard of Rebecca York before, I'll have to check her out. How many books does she have? Wow I am excited with this. IAD is by far my favorite Paranormal adult series of all time. Kresley is amazing and Lothaire has always been one of favorite characters. Hopefully Nix will get her book soon. I love KMM Highlander Series. Big fan of both women. Fantastic giveaway :)I am a HUGE fan of Kresley Cole and have read many of her books. It is my first time hearing of Karen Marie Moning, but from what i've seen here i am sure i will enjoy her books. I will be on the look out. J.R.Ward and Kate Douglas are two other paranormal author favorites of mine. Hiyas Kylie! Nice seeing you here! hehe! :) Kresley is amazing! Ohhh you should really try KMM, if you like Kresley/JR Ward you'd ADORE Kmm's books :) her males aren't as alpha as like the Brothers per say (well Barrons in the Fever series is) but the males in the highlanders are definitely alpha material :) I've re-read her series at least 5 times LOL! OH wow I have read only two of the books and love them! I have not read any Kresley Cole yet, but have been told it is a must read for me! THANKS for the awesome giveaway! CONGRATS on the fan goal met! What an awesome thing to have achieved! I have read a couple of Kresley Cole's books and loved every one of them! I have only read Karen Marie Moning's highlander books but have heard great things of her fae books! i've read moning's highlander series and fever series! they were wonderful. i haven't ever read kresley cole though. I have not read any of the books by these authors. I have them on my TBR list tho. :-) I love Dawn Gray, Tich Brewster, Michele Hauf, Shannon Drake, Merline Lovelace, Felicity Heaton to name a few authors I love. I haven't read either author. My favorite Paranormal authors are Rebecca Hamilton and Chloe Neill. I have read the two first books from this series by Karen Marie Moning. I have not read either author but they are on my to-read list. Some of my favorite authors are Eileen Wilks, Patricia Briggs, Laurell K. Hamilton, Nalini Singh, and J.R. Ward. I am a HUGE fan of KMM's Fever Series (OMG Jericho Barrons)and Kresley Cole's IAD Series. I hope I win since I don't own either of their series (public libraries rock!) and I want to start collecting them. Who else do I like? Ilona Andrew's Kate Daniels series, Karen Chance's Cassandra Palmer series and Nalini Singh's Guild Hunter series. These two authors are beyond words amazing. I have read all of Karen Marie Monings books and can not get enough of the 2 very different worlds of the Highlanders and Fever. Thank you for this wonderful giveaway. I am dying to read Lothaire. I need more Kresley Cole to add to my collection of treasured books. Oooh! I have heard great things about both of these authors, especially Kresley! I've read the whole series (their most popular series) of both authors. Love them. I LOVE Kresley Cole! I have 3 of her books borrowed the rest from library and I haven't read Karen Marie but she sounds great! Crossing fingers now!!!! I'm a huge fan of both Kresley Cole and Karen Marie Moning. IAD was one of the first PNR series' I'd ever read and I actually waited until the entire Fever series was out and did a weekend marathon and read them all at once. Yummmy Barrons! I am a KMM Fever fan freak - can't wait for Iced this fall!! I have her Highlander series on my wishlist. And I've not read any of Kressley's books yet - she's also on my wishlist. I hear her books are just as good as the Warden's BDB series (be still my heart!) - can't wait to start them! What a great giveaway. I'm glad that I have an opportunity to win. THANK YOU SO VERY VERY MUCH!!!!!!!!!!!!!!! for the opportunity!! It's one I'm soooo crossing my fingers to win!! Karen is also amazing, she's like my top fav author, LOVE her, if you read her though, go for the Higlanders THEN the Fever series :) Jeaniene Frost is one of my favorite authors too.. I LOVE Bones and Vlad, heck I love them all ROFL ;) If you ever need book recommendations feel free to read our reviews or email us or even post on our Paranormal Addicts page :) I've converted many fans to new authors to them and they love it! Just ask Sofia and Lorre LOL :) and you're welcome to ramble anytime ;) Thanks so much for stopping by! I have not read Kresley Cole yet... although I own all of the books, except Lothaire. They are high up on my TBR list, though, because they definitely sound like books I would love! I have read a couple of Karen Marie Moning's Highlander series, and loved them! I own all of them, as well as all of the Fever series, except for Shadowfever, just haven't gotten around to reading the rest yet! Again, very high up on my TBR list. I just run into the age-old problem: Too many books, too little time! Awesome giveaway! I already have a signed copy of Lothaire, and would happily give that up to another entrant if I'm selected. I'll take Shadowfever though. I have read all of IAD and until recently it was my favorite. I have not started Highlander series but it is BIG on my to-do list... of hundreds. Thanks for the awesome giveaway! I love Kresley Cole and KMM's books! Love Cole's Nucking Futs Nix! She's hilarious!!! I have read both Kresley Cole and Karen Marie Moning! I absolutely love them both. Thanks for the great giveaway!! This giveaway ROCKS!! Would love to win! 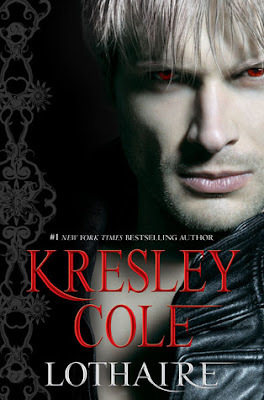 Ihave read all the Fever series books from Karen and they are one of my favorites, but I havent yet had the opportunity to readanything by Kresley Cole. My favorite authors are Kim Harrison,Chloe Neill and Karen Chance. I haven't read Kresley Cole yet. But I'm a huge fan of Karen Marie Moning's books! I absolutely LOVE these authors! Kresley Cole's "A Hunger Like No Other" will be on my Keeper Shelf forEVER! And I just finished reading Bloodfever by Karen Marie Moning -- was blown away. Great, great stuff! Love both of these series! Lothaire is one of my favourite books of the year and Barrons? I love him too! I had the pleasure of reading all five books in the Fever series by Karen Marie Moning towards the end of last year. A group of my girlfriends and I decided to begin a mini-book club here in our local area, and Fever was the first series we read together.. and what a way to start it off! I was hooked from book 1, I was scooped up and swallowed whole.. kind of like if I hadn't stayed to the lights. *grins* I am currently reading the Highlander series for the second time.. that being said, LOVE KMM! I haven't read from these ladies but their books have been on my TBR list. I think I am going to shuffle the list a little to get these ladies closer to the top!! 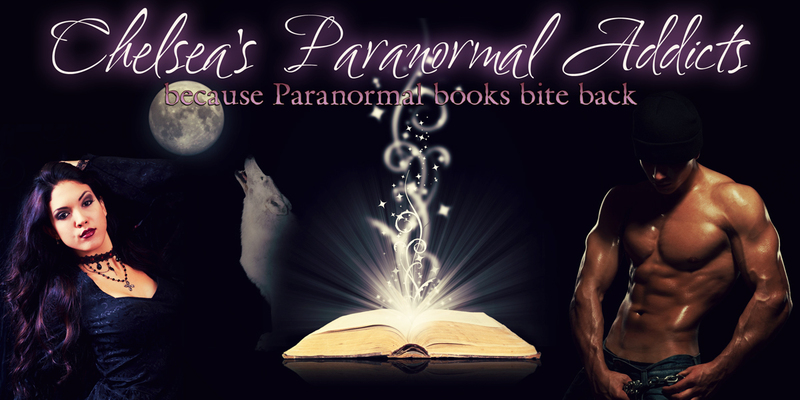 Some of my favorite paranormal authors are J R Ward with her BDB series, Laura Wright and her Mark of the Vampire series, Lora Leigh and her breeds series, and Lauren Dane and the Phantom Ops series!! I haven't read any Kresley Cole books before. Her IAD series sounds interesting though I haven't found the time to start them yet. From these comments it sounds like I should start them soon. You guys reading so much fun. I have read KMM's Fever series and it is amazing. I love Barrons! I haven't read her Highlander series, I probably will someday. I have her Fever World series on my TBR list. KMM is a an amazing writer. hi chelsea!! i hope i can post this time.. I haven't read anything by either of the Authors in the giveaway, but im always open to new authors, new stories and definitely new series. LOVE both of them. Two of my favorite authors and some of the best books! And thank yall for such a nice giveaway! Hope you're having a great weekend! Haven't read either of these... would love to add em to my TBR pile. My favorite paranormal author is Erin Kellison and her Shadow series. This is a wonderful giveaway! Thank you so much for this great giveaway and congrats on all the LIKES for your FB page!! My favorite PNR author is extremely hard to say because I love so many. Each is just a bit different. If I had to pick....it would be a toss up between Lara Adrian's Midnight Breed and Gena Showalter's Lord's of the Underworld, followed by Kresley Cole's IAD. I have been a fan of Kresley's books almost from the beginning and Lothaire, is my favorite character in her books. Love how he has morphed into the character he is currently. I've not read his book yet, waiting for paperback. Though I have heard of Karen, I have not yet read any of her books, but hope to in the near future. So much great stuff is said about her that I know her series must be great! Karen Marie Moning is one of my favorite authors. I absolutely LOVE her Fever series. 5 out of 5 stars for all five books!! Karen Marie Moning is one of my favorite authors. I absolutely LOVE her Fever series. 5 out of 5 stars for all five books! I haven't read either but I see their awesome covers all the time at work and they seem super awesome! Hmm, I don't have any favorites so far. I've pretty much liked all the paranormal books I've read but no one pops out at the moment. Absolutely love both of them....right up there with JR Ward!!! I would die to win this!!!! I love both the Highlander and Fae series by Karen. If you haven't read them yet, what are you waiting for? Also, am a huge fan of Lara Adrian, Laurann Dohner, JR Ward and Lauren Dane. Congratulations on reaching your milestone – and what a wonderful giveaway! I'm a fan of both Kresley and Karen. I've read most of Karen's IAD series (A Hunger Like No Other is one of my all time fave books, and other faves in the series are The Warlord Wants Forever, Dreams of a Dark Warrior and, of course, Lothaire!!). I've also read and loved both Karen's Highlander series (ooher, Adam!! Not to mention Daegus and his magnums - and I'm not talking ice creams or guns!!) and the darker UF Fever series (Barrons is to die for!!). Other fave PNR/UF authors are lona Andrews (Kate Daniels series), Karen Chance (both Cassandra Palmer and Dory series) and Nalini Singh (Guild Hunter series). Hey there...love Kresley Cole...read all her books....I have a few of Karen's books on my TBR list and would love to win this one from Karen..thanks for the contest!!! What a great give away. I've loved the highlander books that I've read by Karen. But I've not read any of Kresley's books yet. I'm looking forward to doing so. I haven't read any books by either authors, but I'd love to. Some of my favourite paranormal authors are Charlaine Harris, Laurell K. Hamilton, Stephen King, Willow cross and many more, too many to list.